Fully licensed by Remington. 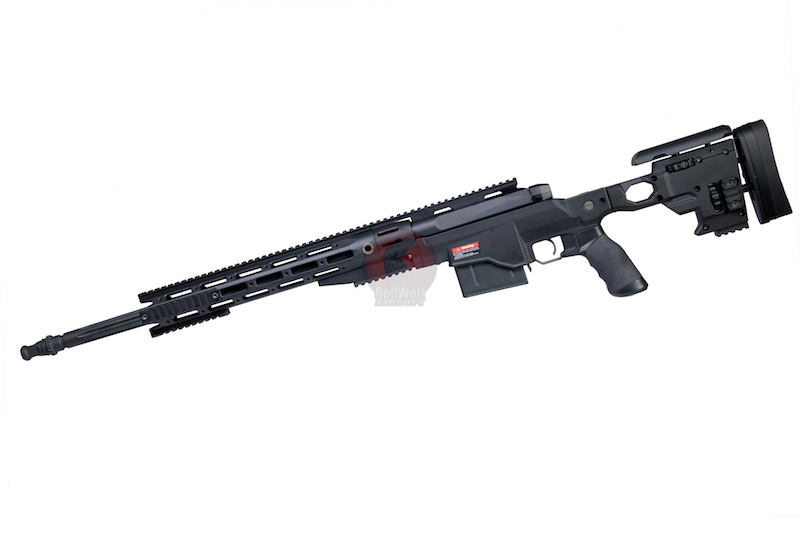 The long awaited Ares MS338 spring powered bolt action sniper rifle is finally here. 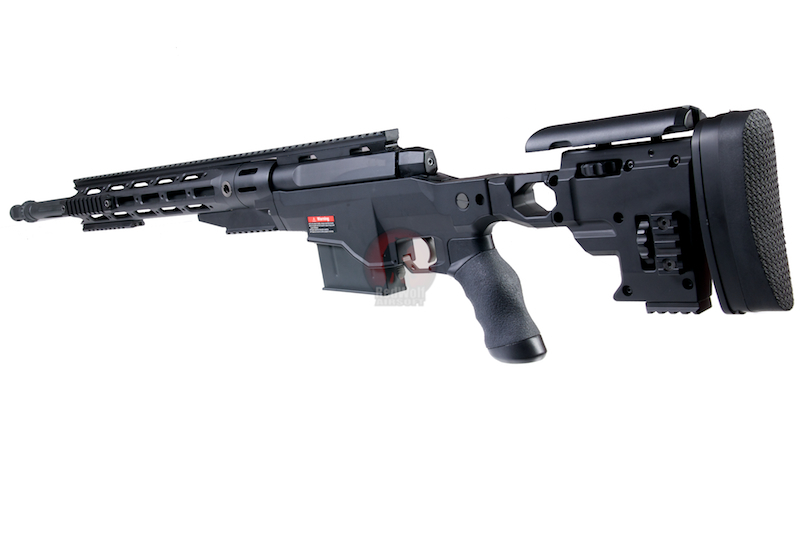 A faithful replica of the MSR, this rifle has gained a popular following from video games like MAG, Socom 4 US Navy Seals, Call of duty Modern warfare3, Ghost Recon Future Soldier, Ghost Recon Online, Sniper Ghost Warrior 2. If you've played any of these games as a sniper, then you'll know what the MS338 is all about! 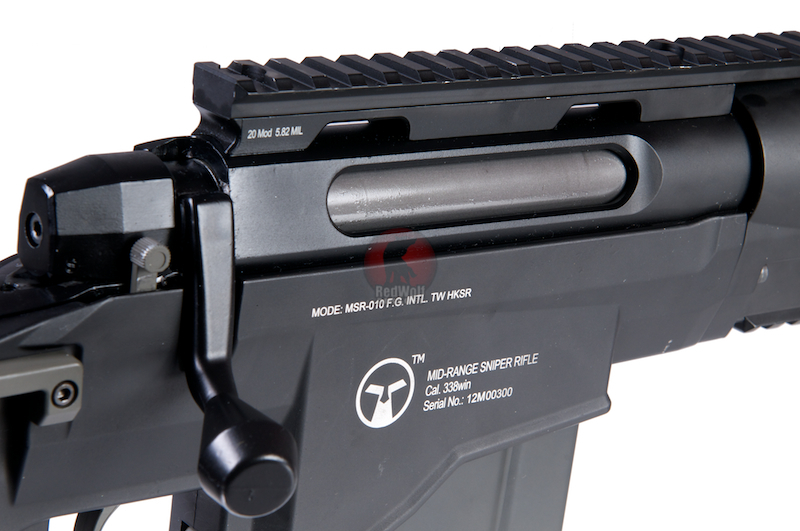 The upper receiver on the MS338 is CNC aluminium, while the lower receiver is die cast aluminium alloy. 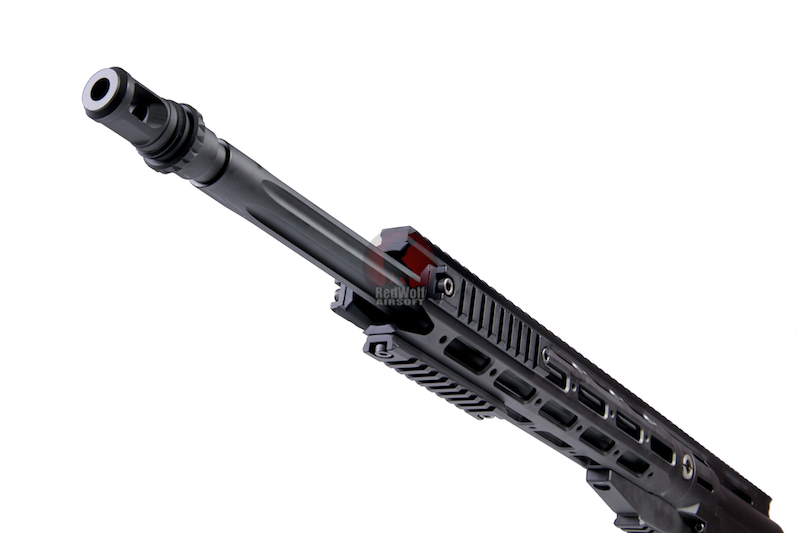 The fore-grip, barrel, flash hider and rail are CNC as well for greater accuracy. 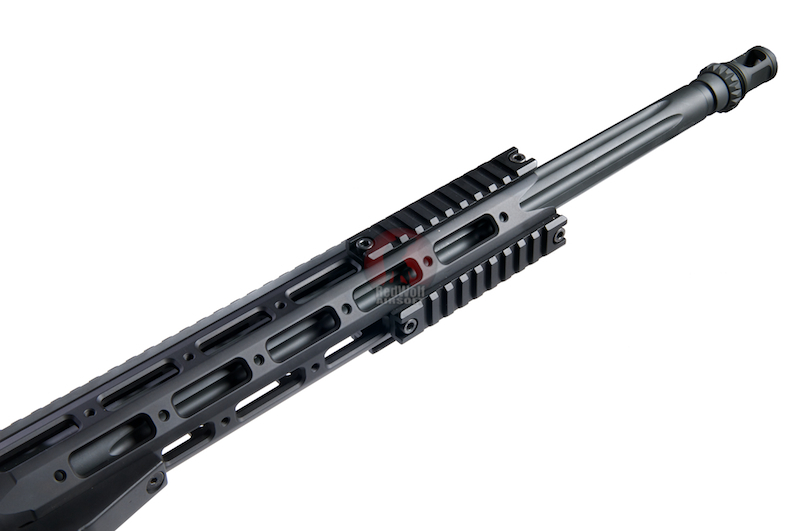 Patented TX system means that you can switch out the spring cocking bolt for a gas powered or CO2 bolt that will be available separately soon. 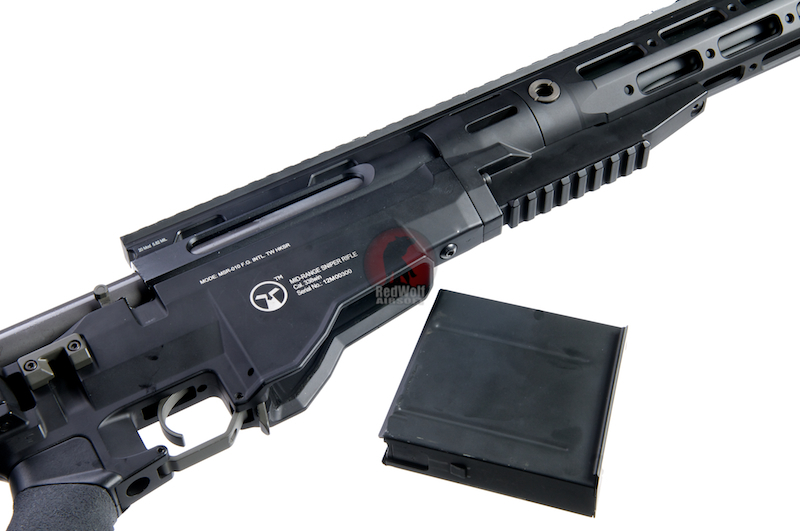 This means that one rifle can be powered by 3 different systems - a first in Airsoft!